So, once you have made the decision to invest in a new dating business website, you still are required to make a few more choices. One of the principal among them is deciding between going for an individual web design and using website templates. 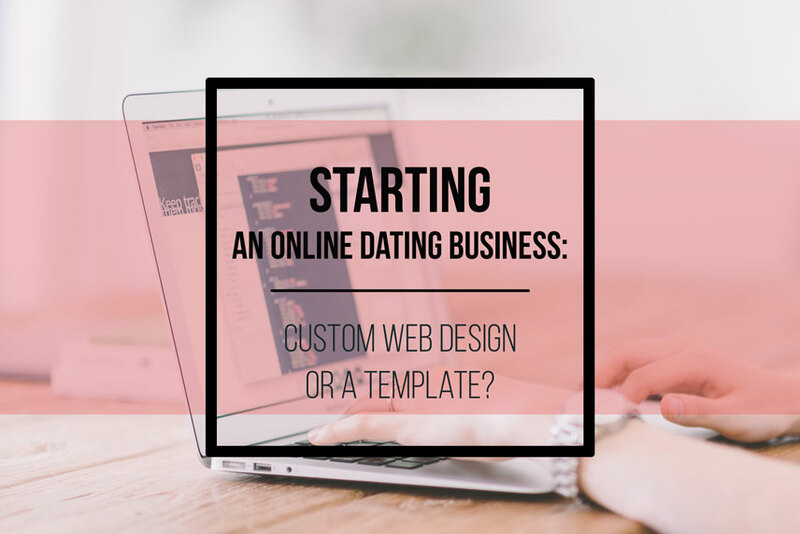 Many individuals starting an online dating business just simply do not understand the difference between going for a custom website design and using website templates. The most significant benefit of opting for custom website design is that it gives your website an edge over others and makes it stand apart from the crowd. Template based dating business website on the other hand offers an affordable solution, come in great varieties and can be deployed easily. So, let’s have a look at some of the important points. They will help you decide which one between custom and template design will better suit your dating business needs. Custom website can prove your best bet if you want to grab attention and generate traffic for your online dating business. Custom website design allows you to project your dating business in a unique way, in sync with your branding. Going with a custom design for your dating website enables you to get a website that can be adapted to the needs of your dating business. A custom website gives you the facility to include a list of features that you may wish to have. By implementing new and exciting features when you want, you can certainly expand the value and popularity of your dating website. Custom web design allows for development of dating websites that are search engine friendly. This is very important while starting an online dating business and developing it. Such website can be equipped with third party plugins which help set up on-page SEO for your web pages which allow the website to rank well. Similar to the benefit of adaptability, custom designed website can be made more scalable. So, if you have planned future course of action for your dating website, then an efficient website designer will build the website in a way that it can be scaled or revamped in future without any hassle. What are the drawbacks of custom website design? A custom web design requires significant investment which creates a bigger dent in the pocket. You probably do not want to spend a lot when you are only starting an online dating business. Besides, choosing a web designing company or web designer is a time taking and daunting process. Due to the challenging and time consuming process, your online dating business project may face unnecessary delays. Nobody wants to wait, so keep that in mind. What are the benefits of templates? Premium website template is the best option if you are starting an online dating business in a quick time. It is also better if you do not have significant funds to hire the expertise of web designing company. Contrary to custom designed website, a website template has a shorter development cycle. Thus, the dating website can be deployed more quickly. Since templates are designed keeping in mind the modern browsing demands, they are mobile responsive from the scratch. What are the drawbacks of website templates? Templates come in limited numbers and you need to choose from limited designs. So, if you are not investing in exclusive template designs, you will risk originality in your dating business. Besides, website templates are not simply configured and designed to be SEO friendly. This may impact the visibility of your website on search engine. Moreover, the is a lack of web development support and browser incompatibility. This also makes using running a template based website quite a challenging experience. So, if you are simply starting an online dating business and have limited time and resources at your disposal, then utilizing a website template could prove your best bet. However, if you have sufficient funds and time and are looking to establish online dating business on a large scale, then a custom build website would be a more appropriate option.